I attended Constant Contact’s OneCon in Las Vegas from October 4-6th, 2015. This time I was much better prepared to take advantage of all that was on offer – great keynote sessions; product updates; panels; and lots of time for networking. I learned a ton – some is evident through the pictures and captions below, but some will have to wait until I gather my notes and go a bit deeper. I think one of my main take-aways was that I’m on the right track. 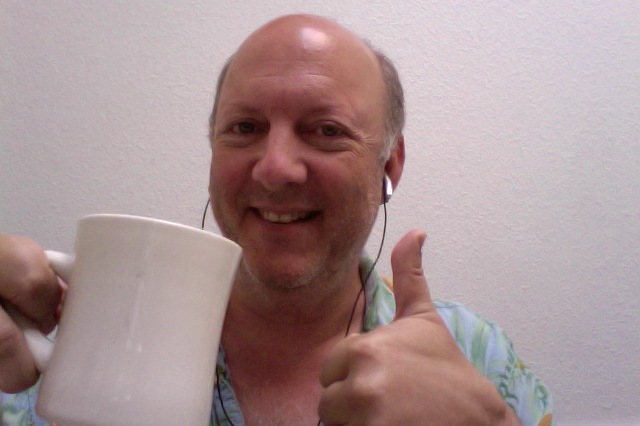 Listening to email marketing expert/guru, Michael Katz talk a couple times, reminded me that I’m doing a lot of what he does – and what he does works. He’s himself. He tells stories. 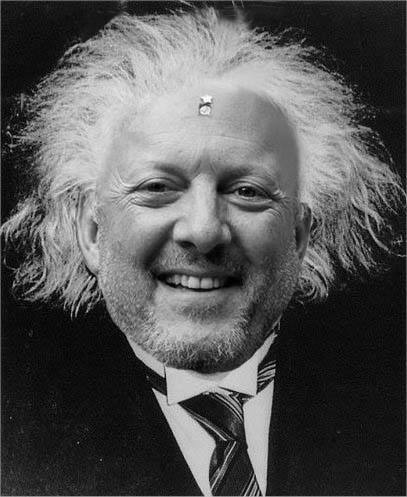 He has a relaxed take on things – very refreshing in the world of business. And, he’s a solopreneur, just like me! I also have been moving to a more philosophical take on what I do. Reviewing the situation… And, I think I’m figuring out a way forward that works for me. Working with great clients who are doing interesting things and taking the time to get things right. I’m not rushing and I’m being more careful and considerate as I go. And, what a great bunch of people I’ve decided to join up with (both within Constant Contact and my current client mix). I’m more convinced by this year’s OneCon that email marketing is THE way forward for small businesses who want to reach their audiences in an easy and inexpensive and REPEATABLE way. Hearing peoples’ challenges in quantifying value from social media was refreshing. Here are some photos and some ideas – enjoy! Your feedback (a gift, thanks Ron Cates for reminding us of that) is welcome in the comments section, below. If you’d like to get started working together, start by signing up for a Constant Contact account. As one longtime solution provider clearly stated: “If you don’t have $20/mo. to spend on marketing, you’re not really in business”. Take yourself and your efforts seriously and invest in email marketing! New Constant Contact features delivered this year. I’m going to do a blog post on this slide. (Can you say AUTORESPONDERS?) Or, perhaps a short video. Next week, I promise! More brilliance from experts on client relations. Michael Katz, moderating. This was a slide shared by Michael Katz that outlines his strategy for running his business. I think I’m going to move towards this model. Lunch, anyone? Close-up of donut! Who is in your network? Great info presented clearly by Michael Katz. It was gray and rainy… wait, it’s not Portland! you can tell by the palm trees. We had flash flood warnings on Saturday night! When this event comes to Portlandia, we will not have any bottled water. I will see to that! One of my favorite slides. Straightforward and correct. Hanging out with my fellow Pacific Northwest Authorized Local Experts over drinks in the lobby. From left to right: Carol, Lisa, Don and Twanda! My fellow Pacific Northwest Authorized Local Expert team! The graphics were really nicely done – sharp and clear – makes a big difference! Such a comfy bed – I could get used to living like this! #OneCon2015 in Las Vegas – Constant Contact’s annual convention for solution providers – Thanks again! See you at #onecon2016! 9.29.15 11am PST – Webinar: Measuring Your Marketing: How to use reports and analytics to evaluate your marketing campaigns – Here’s the video of the session – enjoy! Measuring Your Marketing How to use reports and analytics to evaluate your marketing campaigns with Albert Kaufman from Albert Kaufman on Vimeo. I hope you’re having a great Summer. I’ve been having a nice mix of vacation and work and I’m looking forward to helping you and your business thrive this Autumn. If you’d like to get started with the best tool I know of for on-line marketing, you have until 9pm PST to sign up for a Constant Contact account – the offer is 30% off for the first three months and ends tonight. In addition to this offer I will spend at least an hour with you setting up your account – making sure you have a sign-up form on your website and Facebook fan page; helping you upload your email list(s); create a mobile-friendly template; and work with you to get your first email sent! It’s an exciting process that often yields great results the first time you do it. Sometimes the results are not what you expect they’ll be! Clients often write back happy to hear from you. Some unsubscribe. Some share your news with their friends and referral business comes your way. You won’t know what you’re missing until you try it, and I can help make the process easy and effective! In other news, I’m planning to offer a free webinar on September 15th on the art and science of creating fantastic subject lines. Have a look at this free “headline analyzer” to get a sense of some of the possibilities in this area. When your subject line is improved, your open and click-through rates go up – thus, bringing you more attention and prospective business. I hope you’ll tune in. Everyone who participates will receive a link to a recording of the session and slides, too! Have a great rest of your Summer and I look forward to hearing how things are going for you and if there’s any way I can support your efforts. Hello, and welcome to my monthly e-letter, The Eleven. This is where I have shared my latest thinking about the world and my life for the last 8 years. The newsletter goes to about 3,000 people. If this doesn’t interest you, and you’re more interested in my classes and such – please take a moment and update your profile below. I want to talk about the classes I teach for a minute. I started by teaching classes in how to use Facebook in my living room. I loved it – I really have taken to teaching. That led to connecting up with Constant Contact 3 years ago. They like how I teach and brought me into their Authorized Local Expert program. I’m provided with content about email marketing and social media to present locally and via webinars. Generally, the ideas are sound and I add in my own special sauce derived from my personal experience and that of my clients. That has led to me knowing a whole lot about newsletters and other on-line marketing tools. Here’s my current thinking on the topic. Please come join me for one of these classes and send your friends to me. Whether this is your world or not, everyone can use new skills and I think you’ll find my presentation style refreshing. Also, my classes offer a safe and easy opportunity to network – they are filled with small business owners who are often looking for people to hire or collaborate with. So, if you’re looking for opportunities; are considering beginning a new venture; or are curious about small business issues, come on down. Also, I have been inviting some really interesting and cool marketers into the mix. For tomorrow’s class – David Baer of Baer on Marketing will be joining me. He’s a driven and exciting guy – and makes Facebook marketing a lot clearer. Later in the month I’ll be joined by Tshombe Brown, an inspiring coach and speaker. Music break: Click on the title above for a taste of what the Grateful Dead were doing 50 years ago. And will do again in a few weeks in their fare thee well tour. My dentist is going. My best friend from college is going. Due to climate change and ears that don’t love flying, I didn’t try for tickets, but I hope to watch some of the action via pay-per-view in Portlandia. This may also have to do with my Early Onset Grumpiness. Life continues to be interesting. 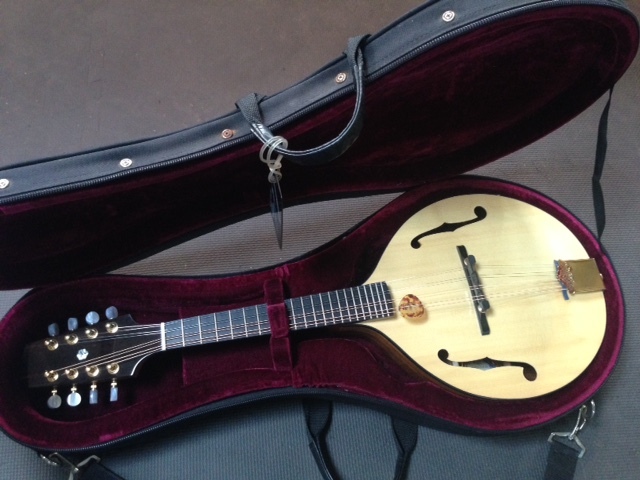 The other day my friend, James Curtis, sent me this beautiful mandolin. I’m loving playing it – click on the pic to learn more about this master luthier! Personal News: I’ve been off sugar (mostly) for the past month. That’s led to some weight loss, and Eecole tells me my body is probably a lot happier without the white devil! I’ve been doing a bunch of reading/listening/watching, lately, and I’m especially enjoying Tim Ferris’s podcasts. I’ve noticed feeling jealous when friends tell me they’re in school, so I’m making a point of spending as much time as I can studying – reading, learning Spanish and watching inspirational videos. If you have anything in this realm you’d like to recommend, please let me know. Thanks! Meanwhile, our sunflowers are growing taller by the day. Oh, and I started teaching a co-counseling class for men. If you’re interested, let me know, we’re just getting started. We’ll meet bi-weekly for now at my place in SE Portland. The world keeps turning and we all are doing the best we can. Me included 🙂 If you need help with something, please let me know. I could use some more connection in my life so feel free to reach back if you feel moved to. Being car-free, I’d especially love invites to get out and hike in the hills! Take care and have a great Summer!